The McIntire Historic District is located a short three-block walk from the museum’s main campus. 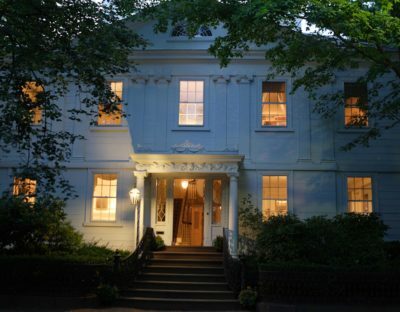 The district is rich with Georgian- and Federal-period houses designed or influenced by renowned architect Samuel McIntire (1757-1811). Trained as a woodcarver, McIntire spent his career designing Federal-style structures of surpassing beauty. His understanding of material is everywhere evident in his work ’ whether it be a portico, an urn, a molding, or a mantel. 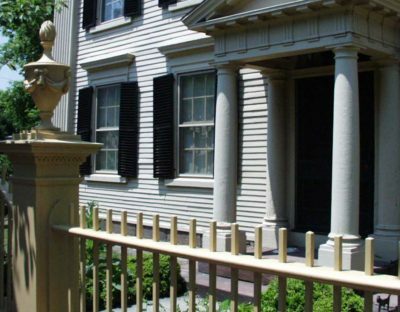 The museum owns three significant historic houses in the district named after this Salem native. (318 Essex Street), 1727, was built in the Georgian style and renovated in 1894 in the Colonial Revival style by the firm Stone, Carpenter & Wilson. Ropes Mansion was home to three generations of the Ropes family. The building is listed in the National Register of Historic Places. Free self-guided tours every Saturday and Sunday from 12pm-4pm through fall. (318 Essex Street) was designed and laid out in 1912 by John Robinson. 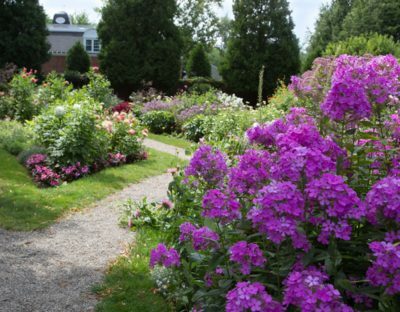 It is a Colonial Revival garden ’open to the public free of charge’ that also includes a greenhouse. Samuel McIntire designed the Peirce-Nichols House (80 Federal Street), ca. 1782, in a transitional late-Georgian/early Federal style for Jerathmiel Peirce, co-owner of the merchant ship Friendship. McIntire remodeled portions of the house in the Federal style twenty years later. To the rear of the house are stables, and behind them ’visible through an opening in the stable wall’ a terraced lawn extends back to a small arbor. Originally the property swept down to the North River, where Captain Peirce could dock his ship at the foot of his own property. The house is a National Historic Landmark. (138 Federal Street), 1782, was built as a Federalist Clubhouse in which balls, concerts, lectures, and other events might be held. George Washington attended a dance here. 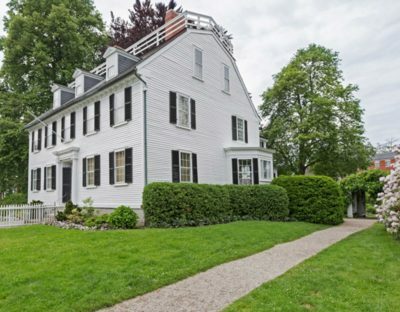 The original architect is unknown, but the house was later remodeled by Samuel McIntire for use as a private residence. The house is in the Federal style and is listed in the National Register of Historic Places.